A really simply idea that is well executed. 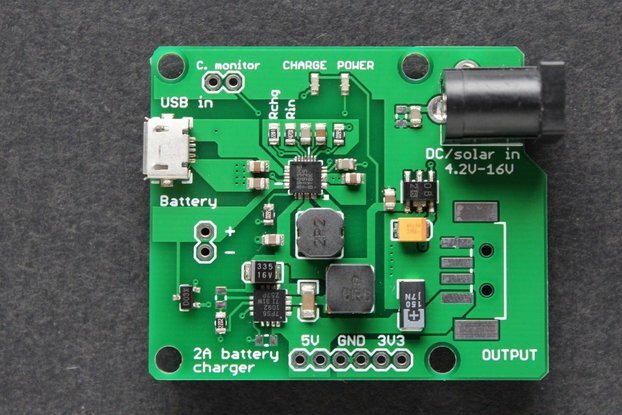 I use it to power some remote sensors from a 4000mAh battery with a small solar panel as a charging source, it does exactly what the designer said it would. 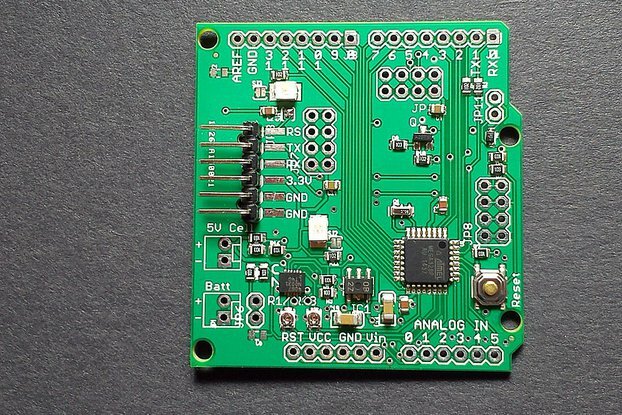 The charge monitor is perfect for reporting the system health back to the host system while the 5V boost output is a very hand addition to the 3.3V output. Nice! 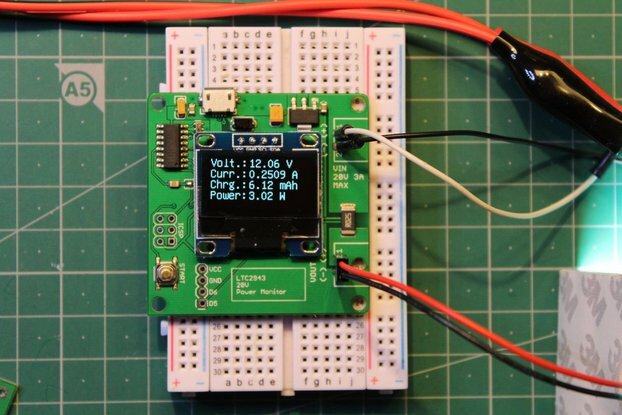 I made application with input dc low then 0.5v. 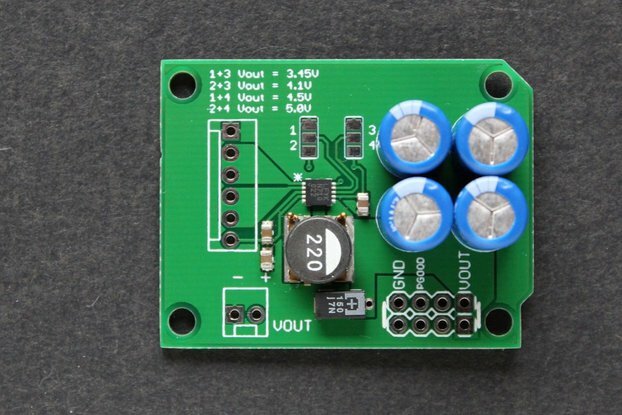 The board really give me dc 2.2v. Thank you for help, Ceech. I've put the device attached at a solar cell with 5V under full sunlight, a LiPo (2000mAh) and a LED (10mA) as load at the 3V3 output. Everything worked fine and the would be loaded slowly (not always sunny) from 3.9V to 4.2V. 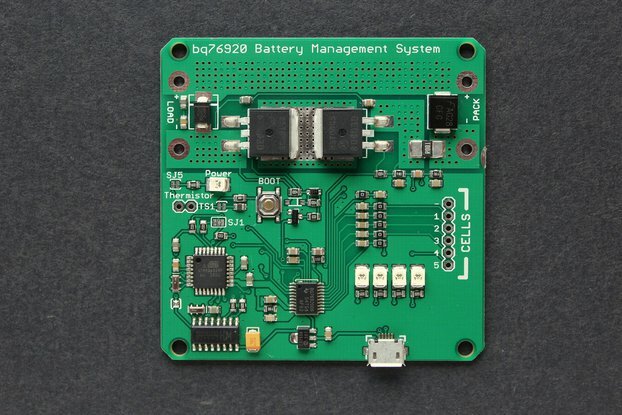 But immediately when the battery was fully loaded the output voltage begans to fluctuate at 2.7V (DMM measurement) and as a result the LED blinks. I attached some big capacitors (2 x 470uF) at Vout, but it was not possilbe to flatten the fluctuation. Input voltage should be kept below 4.2V. 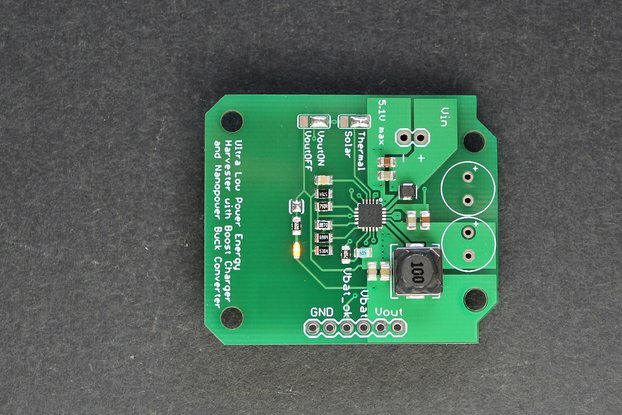 It is a boost converter on the input. Not all input voltage / battery type combinations work well. Some input voltage tweaking might be necessary for optimal results. 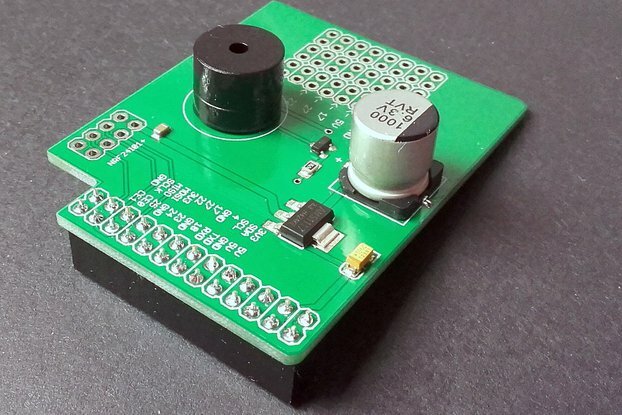 Try with 1V on the input, that might yield cleaner output voltage. 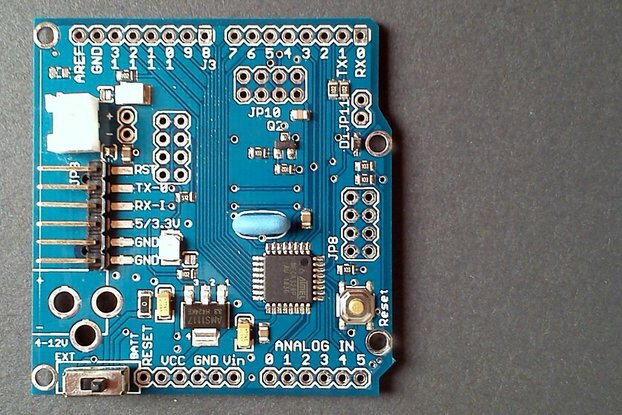 I recently needed an efficient piezo energy harvester for a small electronics experiment - this board worked perfectly, straight out of the box. Thanks! 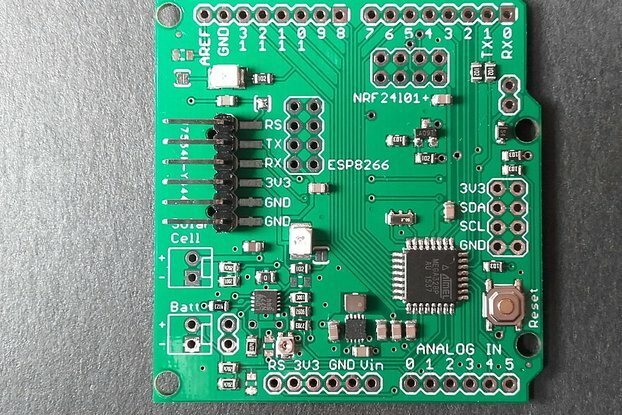 I have tested this board with a MCU during several days, it works perfectly for ultra low power application. Very good job, exactly what i was looking for.